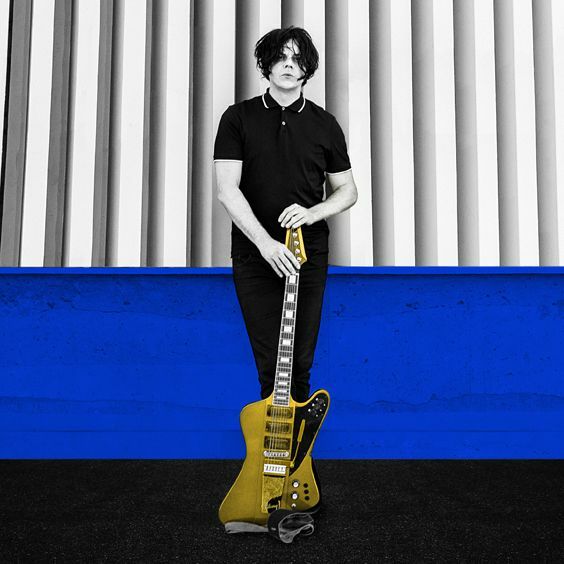 On March 23, 2018, Jack White released his third solo album, Boarding House Reach (Third Man/Columbia). The album, his first in four years, was produced by Jack White III and recorded at Third Man Studio in Nashville, TN, Sear Sound in New York, NY, and Capitol Studios in Los Angeles, CA; it was mixed by Bill Skibbe, Joshua V. Smith, and White at Third Man Studio in Nashville, TN. Boarding House Reach sees the 12-time Grammy-winning White expanding his musical palate with perhaps his most ambitious work thus far, a collection of songs that are simultaneously timeless and modern. Written and conceived while holed up in a spartan apartment with literally no outside world distractions, White exclusively used the same kind of gear he had when he was 15 years old (a quarter-inch four-track tape recorder, a simple mixer, and the most basic of instrumentation). The album explores a remarkable range of sonic terrain -- crunching rock 'n' roll, electro and hard funk, proto punk, hip hop, gospel blues, and even country -- all remapped and born anew to fit White's matchless vision and sense of restless experimentation. Boarding House Reach is a testament to the breadth of Jack White's creative power and his bold artistic ambition. Boarding House Reach features White on vocals, acoustic and electric guitars and drums, organ, and synthesizers. He's backed by a remarkable new lineup of musicians that includes: drummer Louis Cato (Beyoncé, Q-Tip, John Legend, Mariah Carey), bassists Charlotte Kemp Muhl (The Ghost of a Saber Tooth Tiger) and NeonPhoenix (Kanye West, Lil Wayne, Jay-Z), synthesizer players DJ Harrison and Anthony "Brew" Brewster (Fishbone, The Untouchables), keyboardists Neal Evans (Soulive, Talib Kweli, John Scofield) and Quincy McCrary (Unknown Mortal Orchestra, Pitbull), percussionists Bobby Allende (David Byrne, Marc Anthony) and Justin Porée (Ozomatli), and backing vocalists Esther Rose and Ann & Regina McCrary of Nashville's beloved gospel trio, The McCrary Sisters, as well as longtime collaborators like drummers Daru Jones (Nas, Talib Kweli) and Carla Azar (Autolux, Depeche Mode, Doyle Bramhall II). Singer-songwriter C.W. Stoneking also appears, contributing a stirring spoken word performance to the album's "Abulia and Akrasia." Born the youngest of 10 children, raised in Southwest Detroit and a resident of Nashville since 2005, Jack White is one of the most prolific and renowned artists of the past two decades. When the White Stripes started in 1997 no one, least of all White, ever expected that a red, white and black two-piece band would take hold in the mainstream world. The band's self-titled debut and sophomore effort De Stijl amassed critical acclaim and built a passionate underground following, but it was the release of 2001’s White Blood Cells that thrust the White Stripes onto magazine covers as they captivated larger audiences through worldwide touring. “Fell in Love With a Girl” served as the band’s breakthrough hit and its accompanying Michel Gondry Lego clip was chosen by Pitchfork as the #1 music video of the 2000s. The release of Elephant in 2003 not only cemented the band’s reputation, but also offered the #1 hit single “Seven Nation Army,” which has since been appropriated as arguably the most popular chant in sports stadiums around the world. In 2004, White teamed up with Loretta Lynn to produce and perform on her Van Lear Rose album, an effort that won GRAMMY Awards for “Best Country Album” and “Best Country Collaboration with Vocals” for the single “Portland, Oregon.” To date, White has won 12 GRAMMYs in eight different categories with 34 career nominations, and was honored with the Producers & Engineers Wing “President’s Merit Award” in 2017. White formed a "new band of old friends," the Raconteurs, in 2006. Their debut album Broken Boy Soldiers featured the #1 hit single "Steady, As She Goes" and showed a markedly different side of White, one where songwriting, vocal and guitar duties were shared. Also in 2009, White opened the doors to his very own Nashville-based record label, Third Man Records, where he has since produced and released more than 500 records in just over nine years. With a catalogue of releases from artists as varied as Margo Price, U2, Pearl Jam, Neil Young, Lillie Mae, Melvins, Dwight Yoakam, Wolf Eyes, My Bubba, Loretta Lynn, SHIRT, Ennio Morricone, and The Dead Weather, and unimagined vinyl configurations, the label has rightfully earned its reputation as a leader in the vinyl record industry. White released Lazaretto (Third Man Records/Columbia), the follow-up to the gold-certified Blunderbuss, on June 10, 2014. Once again debuting at #1 on the U.S. albums chart and at #1 in Canada and Denmark, Lazaretto not only broke the record for first-week vinyl album sales, selling over 40,000 copies in the U.S., it was also the biggest selling vinyl album of 2014 and, at that time, any year of the SoundScan era with 86,707 copies sold in the U.S. To date, the Lazaretto vinyl ULTRA LP has sold over 210,000 copies worldwide. The album’s title track, “Lazaretto,” won a GRAMMY Award for Best Rock Performance. Lazaretto received two additional GRAMMY nominations for Best Alternative Music Album and Best Rock Song for the title track. Jack White Acoustic Recordings 1998 – 2016 came out on September 9, 2016 (Third Man/Columbia/XL Recordings). The 26-track double-LP and double-CD features alternate versions, mixes and previously unreleased recordings from The White Stripes, The Raconteurs and solo material all completely re-mastered. Earlier that year, White teamed up with the Muppets for a recording of Stevie Wonder’s “You Are The Sunshine of My Life,” featuring accompaniment from the legendary Muppets house band, Dr. Teeth and the Electric Mayhem, that was featured on that season’s final episode. In 2017, White continued his work as a producer with Beyoncé, A Tribe Called Quest, Lillie Mae, and The American Epic Sessions featuring Alabama Shakes, Nas, Elton John, Beck, and Willie Nelson & Merle Haggard, among others.